Access The Octagon Theatre was originally built with no lift or positions for wheelchair users, and with all patrons ascending two flights of stairs before entering the auditorium which is also raked. A lift now brings patrons to the first floor and wheelchair positions are located on the back row. There is no hearing loop. Toilets, including an accessible toilet, are located in the theatre's foyer on the ground floor. Prams For safety reasons, prams may not be brought into the auditorium. Collapsed prams can be left with our front of house staff. 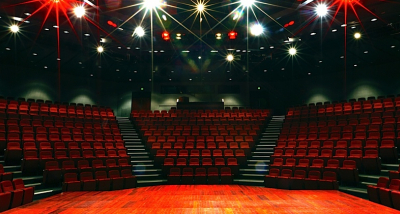 Opened in 1969, the Octagon was Australia's first thrust stage. Seating up to 758 patrons, the Octagon regularly hosts high profile events such as Q&A and the Perth International Arts Festival.